The Concha y Toro Vineyard was founded by Don Melchor de Santiago Concha y Toro and his wife, Emiliana Subercaseaux, in 1883. To start the winery, he brought grape varieties from the Bordeaux region in France. The grapes that he brought were: Cabernet Sauvignon, Sauvignon blanc, Semillon, Merlot, and Carmenère. 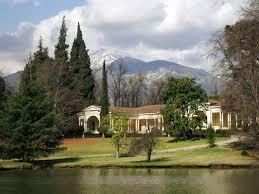 The vineyard was incorporated as a stock company in 1923 and shares were sold in the Santiago stock market. Concha y Toro began exporting wine in March 1933 to the port of Rotterdam, the Netherlands. In 1950, the winery began to acquire more vineyards and also began the process of adapting its business to new markets and meeting a higher demand. "Dark and deep red wine. Aromas of toasted cherry, cassis, cedar, blackberry, and slight hints of black pepper. Firm with a deep concentration of flavors. A delicate and almost silky texture frames soft tannins, which comes at the beginning of their long finish." "Olive, spice and black-plum aromas come with some grit and savory accents. This is well packed and voluminous; flavors of olive, plum and wild berry finish sturdy and smooth, with minty accents." James Suckling 91"A layered and luscious white with cooked apple and cream character. Full and flavorful." "Neutral white-fruit aromas are slightly oxidized. This Chardonnay feels chunky and creamy, with only moderate acidity. Sweet-leaning flavors suggest canned pineapple, while this feels syrupy and tastes like papaya on a soft finish." James Suckling 93"Freshly-picked blackcurrants, tile, clay, citrus rind, nutmeg and rosemary. Full body, very refined yet also very generous in terms of grainy tannins and darker fruit. Long and chewy on the finish. One of the great values in cabernet. Drink now or hold." "Fruity, medium body, black cherry flavors, soft tannins and a pleasing finish." Youthful, bright ruby red in color, with garnet hues. Fresh and fruity on the nose, with notes of red fruits such as cherries and strawberries. Soft texture and light to medium-bodied on the palate, with youthful fruit flavor, bright acidity, and a lingering finish. Deep red in color with a bouquet brimming with intense aromas of plums, morello cherries, chocolate and cassis. Well-structured on the palate, with concentrated flavors of red fruit and sweet tannins. From a warm year, this smells toasty and oaky more than anything. In the mouth, core acidity is driving and creates a sharp, racy feel, while woody flavors of tropical fruits and melon finish with oak-based cinnamon and spice as well as a resiny texture. James Suckling 93 "A gorgeous cCabernet Sauvignon with currants and hints of tobacco. Aromatic. Stone and dust too. Full body, ultra-fine tannins and a long, long finish. One selected 50-hectoliter cask. "